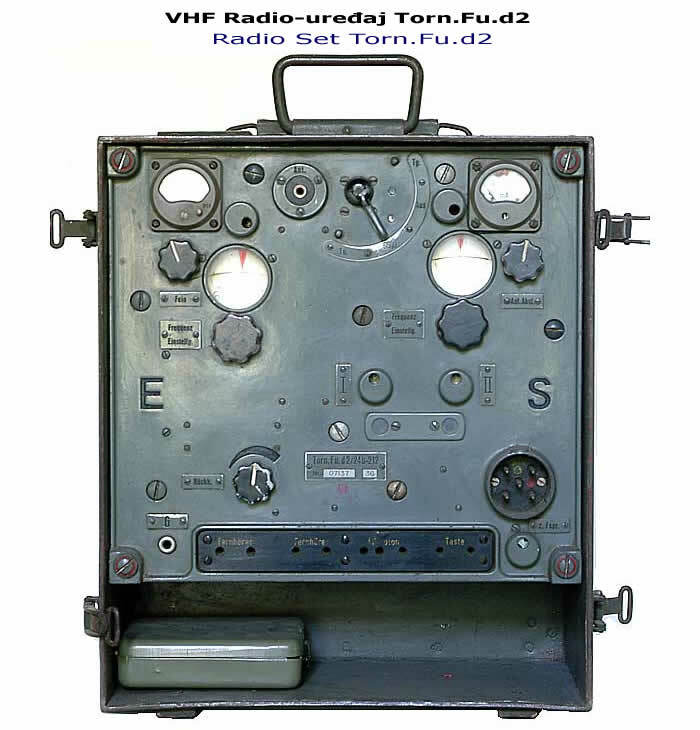 Welcome To My German Torn.Fu.d2 Radio Page One. This page is about the changes I have made to the Dragon Torn.Fu.d2 radio model kit. This is my first kit from Dragon and I am very impressed with the crisp detail with it, although I personally did find it awkward to try to follow the instructions, as I am used to the old type of Airfix kit with the step by step instructions. I also found a problem with the numbers on the sprues, which I had to write over with a pencil at times to highlight the numbers. 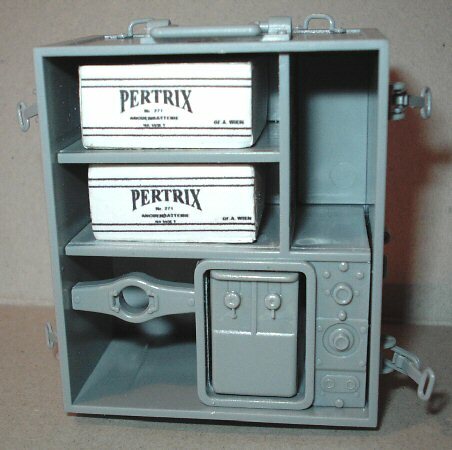 With the radio units, one of the main items that I discovered that are missing from the kit is the batteries. 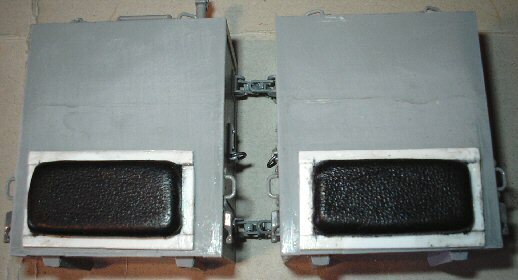 But with the very kind help of David (Actionman) I have been able to make a pair of them for the power unit. 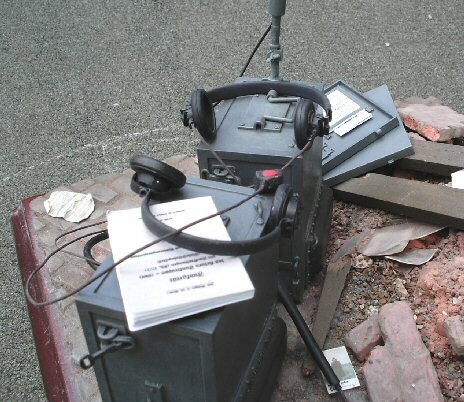 And seeing as I wanted the unit open, these were quite a vital part of the radio set. The picture on the right shows the dimensions for one of the two batteries that I made. I first cut out a balsa wood shape, and then cut out and stuck some white card squares all around it with PVA glue, I then used the label on the front. While it was drying I pressed hard on the edges of the card with my fingers, to make it conform to the shape of the balsa wood. 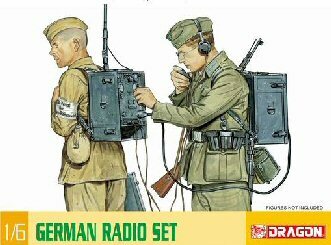 As shown on the right, another item that is missing from the kit is the leather pads on the back of each of the radio units. 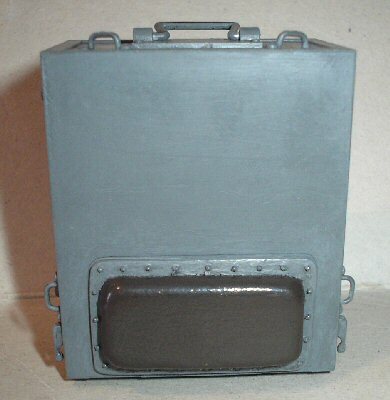 So I have had a go at replicating the pads on the back of my radio units as shown below left, I have used some leather material for the pad itself which is to be re-painted Brown. Making the pads and the plates that they sit on are shown above, the first part of it was to make a balsa wood shape for the pad as shown in Picture 1. This was then stuck onto a square piece of leather material with some double sided tape, the material was then cut so that the edges when folded was slightly longer than the balsa wood. In picture 2. I have put another piece of double sided tape onto the balsa wood, turned it over and stuck it onto a larger square piece of plastic sheet. Also in Picture 2. 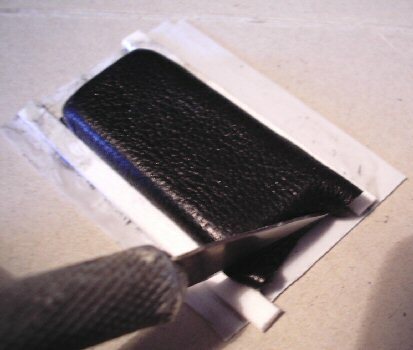 I have then cut out some plastic strip for the sides, and then glued it onto the plastic sheet to trap the edges of the leather material in place. Picture 3. shows all of the strips glued in place, with the leather material pressed in around the edges to make it look a tight fit. Note: This is still the rough shape after trimming the plastic sheet to the size of the strips. all of this will be sanded flat and the corners of the strips will be rounded off. 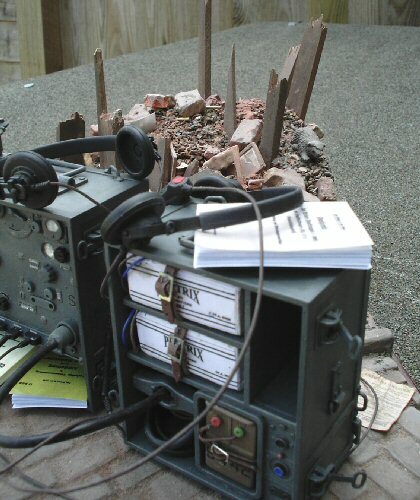 Picture 4. shows the pair of pads placed onto the back of the radio units, to check that they sit right. Picture 5. shows the type of glue that I have used to make both these pads and the kit, and from my Tools page I have the information about them in sections 29, 30 & 31. Picture 6. 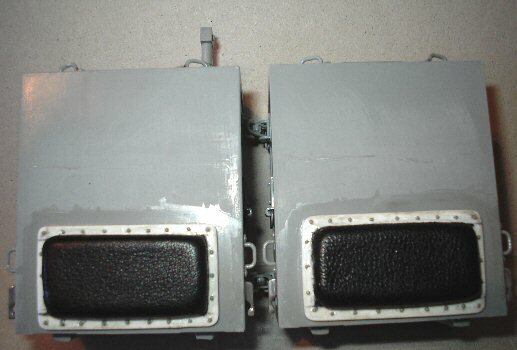 These are the finished pads fixed onto the back of the radio units, and picture 7. shows the size of the rivets in a 1/6th scale hand that I used around the edge of the pads. These were the 0.9mm spherical rivets that I bought from Master club UK on eBay, and I just had to add these here to get a better detail on the model. 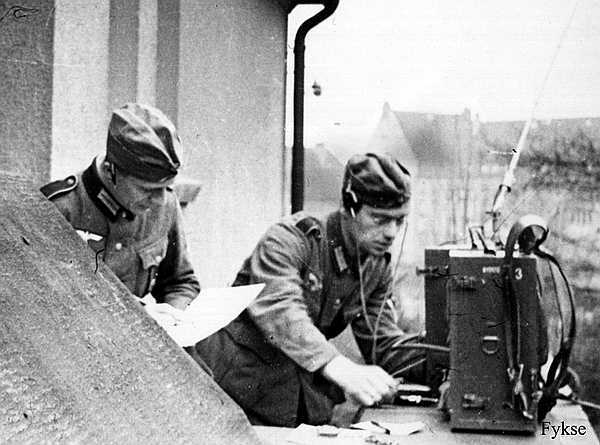 With the frequency meters dials for the radio I am afraid that I just had to copy the work done by Sgt Shultz II, as the effect that he got with the magnifying lenses is outstanding. 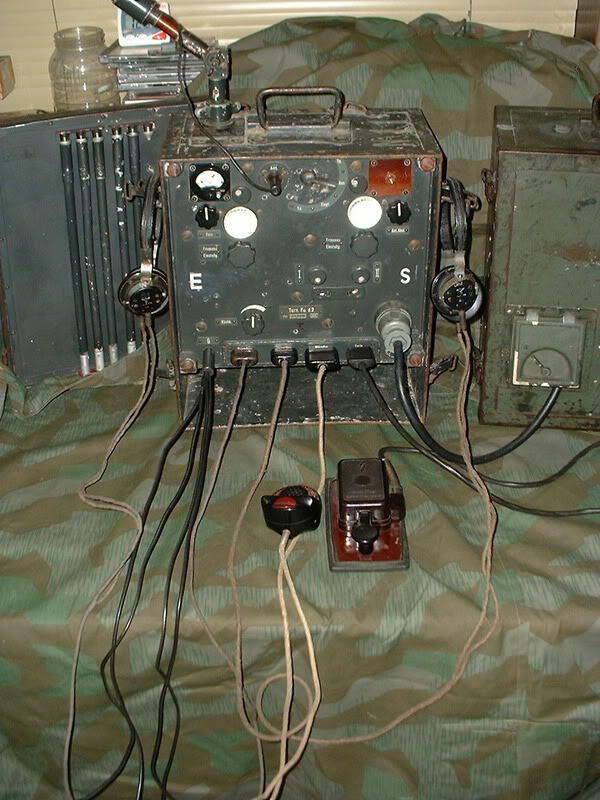 And I just had to have the same effect on my radio unit. 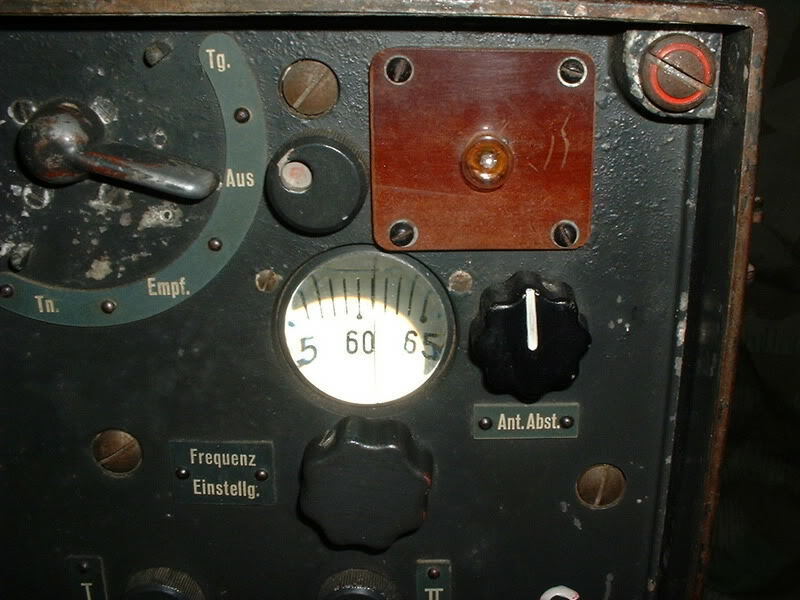 The picture on the right shows a full size radio with the lenses in place, which help to show the gauge better. The other image on the right is of the radio unit made by Sgt Shultz II, which shows how the lenses do make a real difference to the model. To do this mod I shaved off the lens bezels and drilled them out with a number 4 drill. I used real magnifying lenses from a model train hobby shop. There is no bezel on the dials but they do have glass lenses like a magnifying glass. 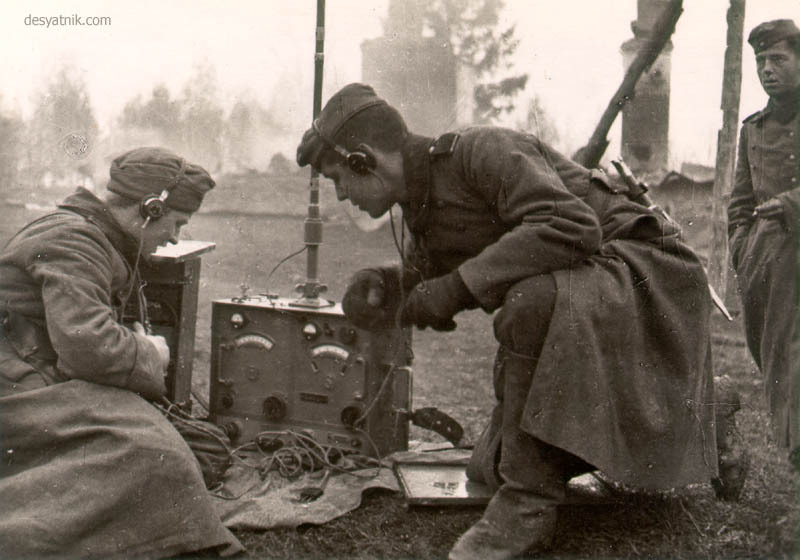 I had to do a lot of searching around the internet to find the lenses for the radio, although I did find some for sale in the USA the price for them and shipping to me in the UK was just too expensive. But I did find some in the end courtesy of some very kind people, who pointed me to this website - Little Cars and this is the list for the lenses and scale wiring - Little Cars. In the pictures above 8. shows how I have drilled out the holes for the dials and also removed the raised edge that was around them. And in picture 9. 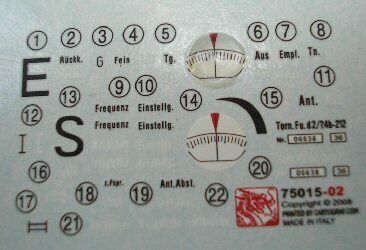 I have placed one of the 5mm lenses on top of the frequency meters decal (14). And I feel that it really does improve it, especially when you compare it to the plain flat decal below it. The straps that came with the kit, I personally found them to be poorly made. As they are of a webbing type of material which has been covered on one side with a thin strip of vinyl. So I used two pairs of DiD 'Y' straps to replace them, based on the reference picture on the right. 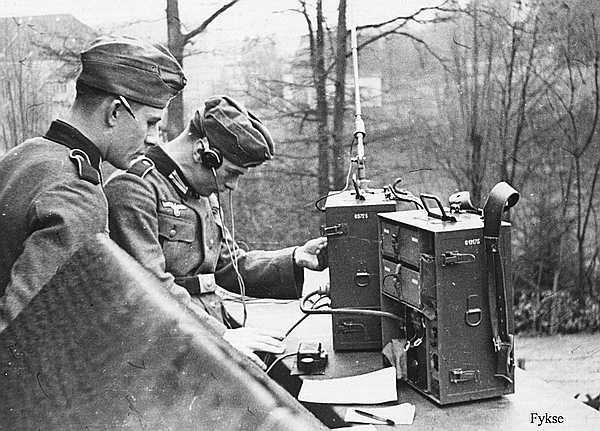 But the problem was that the radios could not be fitted to the straps, as they need a new set of auxiliary straps to be able to reach the 'D' rings on the top of 'Y' straps. 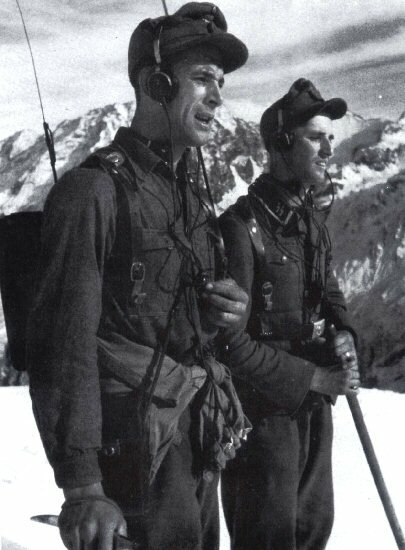 This is where a little bit of 'Modellers Licence' comes in, as I found a picture on a forum shown below of what look like extension straps for some kind of German back pack mounted equipment. 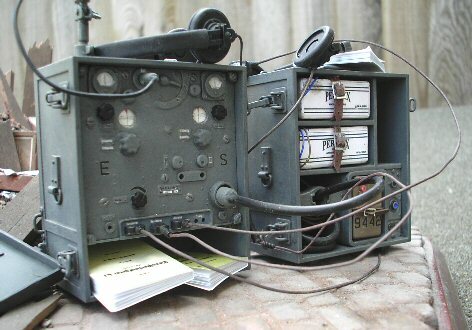 So I have decided to make these straps for the radio units, so that I can use the DiD 'Y' straps. 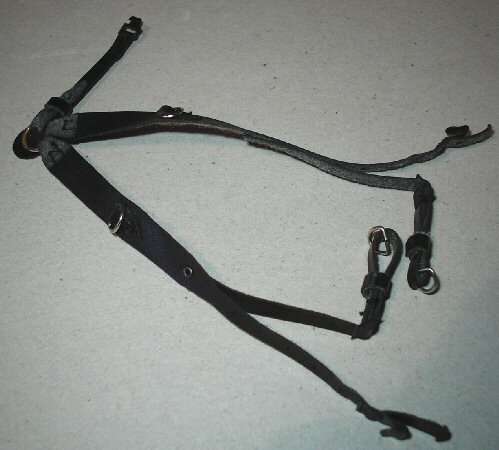 In the images below, Picture 10. is of the 'Y' straps as they came with the kit, compared to the DiD straps in Picture 11. which are of a better pleather type of material, also the DiD straps have the extra 'D' rings on the top as well. In Picture 12. I have made some auxiliary straps to connect the radio to the 'Y' straps, these were made with four strips of leather into which I drilled the holes for the buckle holes. The metal connecting ends I made from some aluminium that I cut from an empty beer can. With the connecting end on the left, I folded the aluminium in half to double the thickness, and used some super glue to stick it together. Cut it to shape and I then drilled and enlarged some holes and threaded the leather strip through it, I then sewed the ends together. 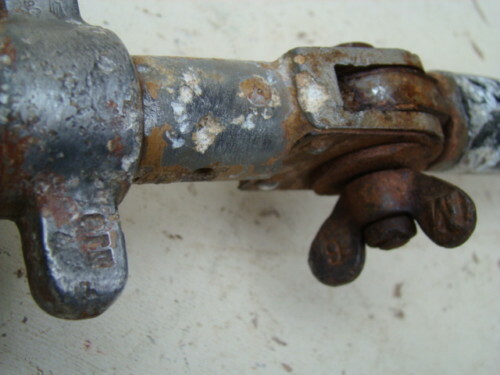 The other side of the strap had a thin strip of aluminium again folded in half, glued, threaded through the buckle and bent round to keep it in place. 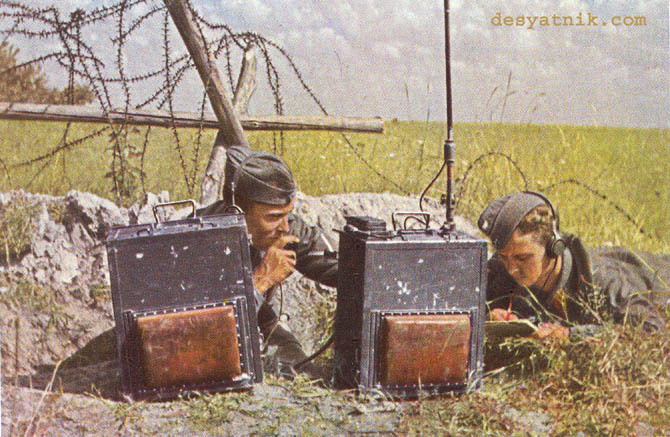 Both ends of the connectors were bent to shape, and checked that they fitted into both the top of the radio and the 'D' rings on the 'Y' strap. The final part was to paint the aluminium parts with some enamel Gunmetal paint. 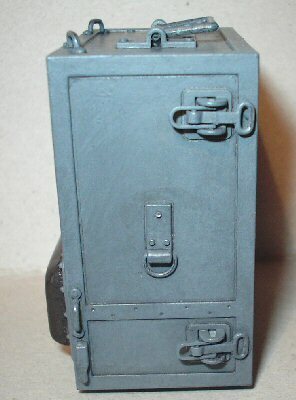 The pictures above are of the radio units as I have assembled and also altered the parts, in Picture 9. shows the small buckles I bought from Little Trimmings I used the B3 one's for the battery holders. 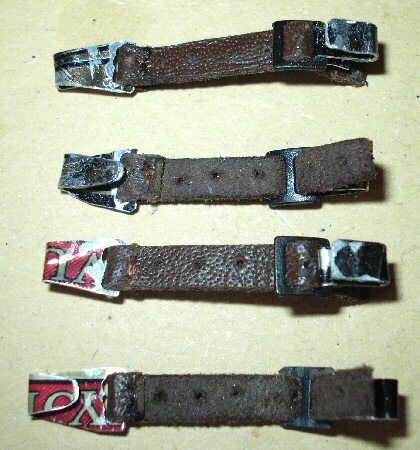 Picture 10. is of the straps for the batteries which are made from leather strip I have. 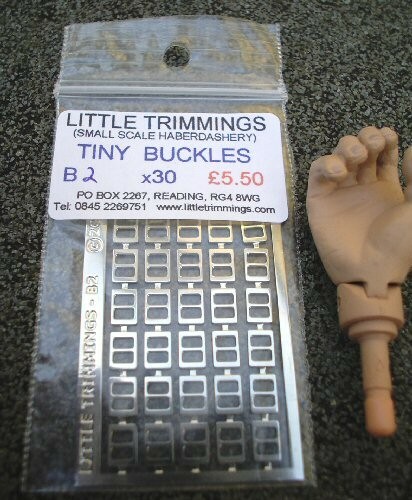 That I got from the USA from Rio Rondo it is listed under the title Leather Lacing, and when I want to get some more I found a company here in the UK, that supplies the same items Dolls House Trims. I also added a small strap and buckle to the other power unit, because I could not see how this unit would be fitted in real life. 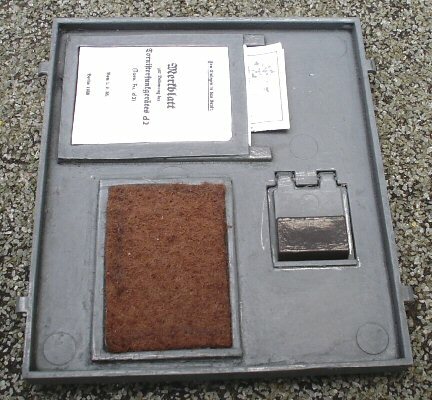 Picture 11. is of the inside of the cover for the battery unit, and again I just had to copy the work by Sgt Shultz II for this, as it does add more detail to the radio units with the felt pad and the holder for the manual. 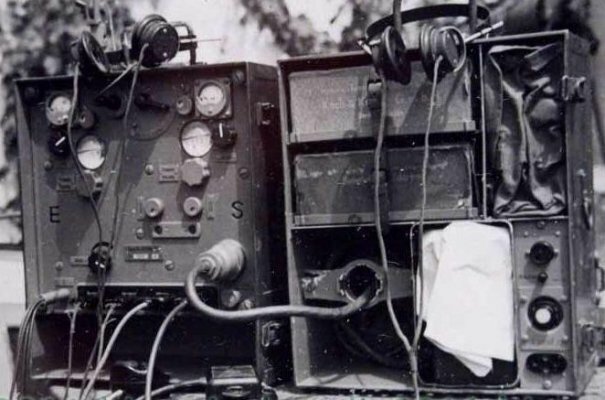 The paper items I have placed in the radio, were found here - Circuit Diagram and Manual Cover, these were printed out and folded up to fill the spaces. 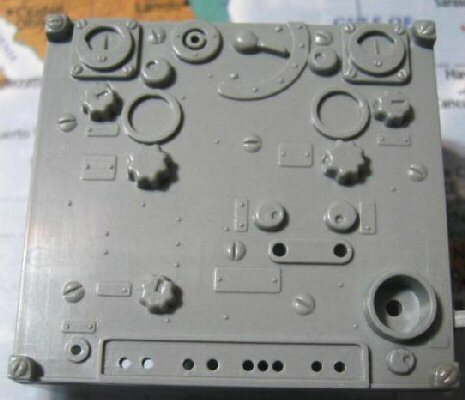 Picture 12. is the front of the control unit as it is on the sprue. Picture 13. is of the main front part of the radio control unit, with the dial holes drilled out and the raised edges around them removed. The area around the holes has been gently sanded to remove the last part of the bezel or raised edges, and I placed some thin plastic sheet behind the holes, to support the decals and the glass lenses. Picture 14. is of the radio manual books I bought from One Sixth Scale King, as I wanted something to fill out the empty space in the radio. 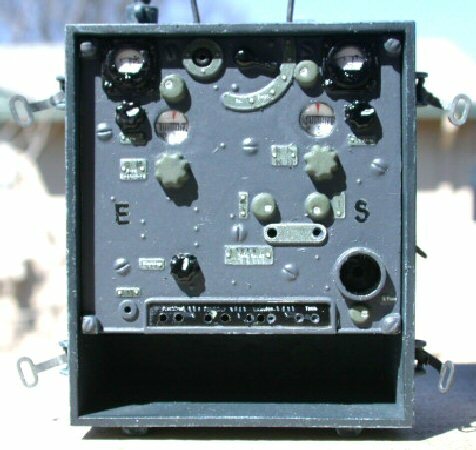 These pictures are of the assembled radio units after I have painted them, the kit instructions say to use Model Master Color H3240 (1723), but because I cannot find the paint here in the UK. 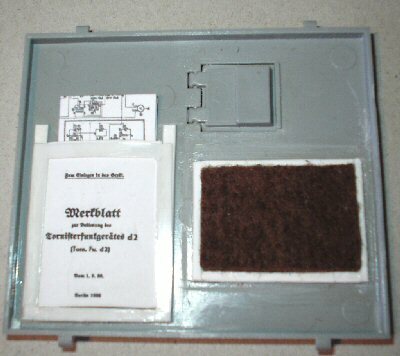 I have had to use Revell paint instead Staubgrau 36177, which I found by using this paint conversion chart. Pictures 15. 16. 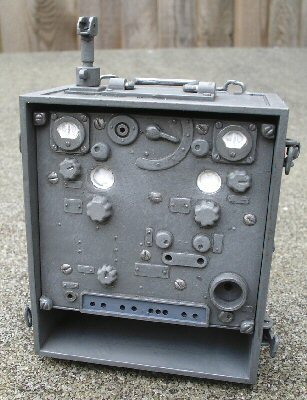 & 17. are of the main radio control unit, which has had the pad fitted and the casing painted. Once this was dry, I gave both of the units a wash over with some heavily thinned down Black acrylic paint, which I dabbed off with a tissue to leave the dark paint in the recesses and edges. Once that was dry I then mixed up some of the Field Grey paint and some White, to get a slightly lighter colour which I then Drybrushed over the radio units to add highlights. Pictures 18. 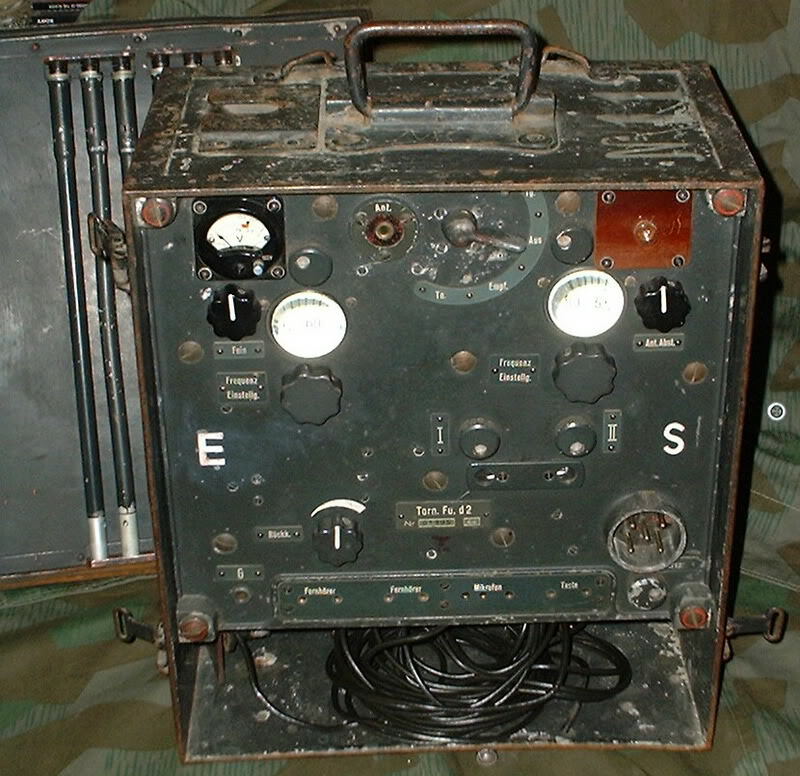 & 19. are of the front control unit, this was painted the same colour as the case, with the main dials painted a slightly lighter shade of Field Grey. The screw heads and rivets were painted Gunmetal, over which I wrote with a pencil to bring out some highlights. Pictures 20. 21. 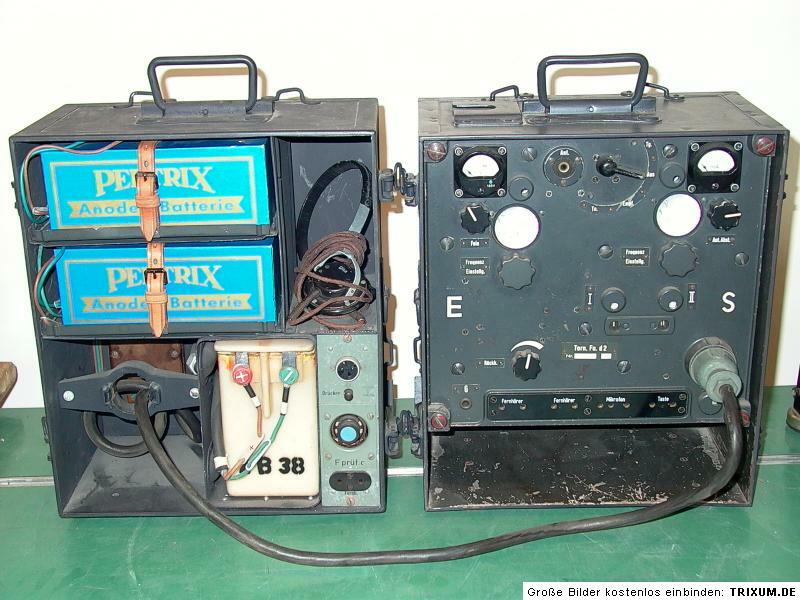 & 22. are of the battery unit case, this was given the same treatment as the control unit. I have also on both units, used a pencil to write along all of the edges, around the mountings and clips and over the raised details. The purpose of this is to add a slight shiny line on these parts. Picture 23. shows the inside of the battery case with the lower right controls still to be painted. Picture 24. shows the felt pad held in place with some double sided tape, also the manual and wiring diagram fitted in the holder. The microphone and the headphones are shown above in the pictures 25. 26. & 27. Note: That the headphones in picture 25. are of another pair that I had in my spares box. 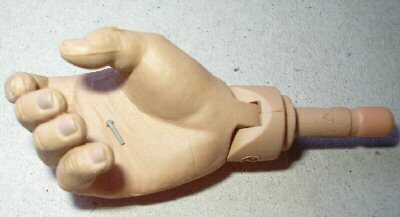 The parts that came with the kit were assembled and painted as the kit instructions say, with the wire repainted Brown to cover up the glue stains. 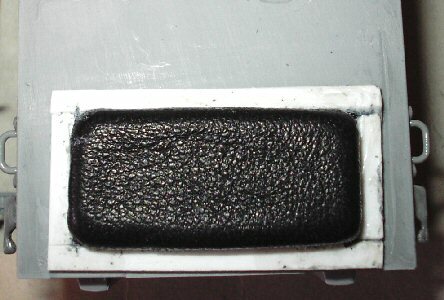 I then went over the wire, microphone and headphones with some Light Sand weathering powders. Note: Part Z9 (30mm soft air hose) for the headphones is made of a heatshrink material, and to make it smaller for the wiring. I held it, moved it about over my cigarette lighter, which gradually caused it to shrink thinner. Note: Do be careful doing this as it gets hot, and it will easily burn if it is too near a flame. From the Aeroscale review of the kit assembly. On the radio box, I recommend painting and applying decals before inserting the piece into the box as it will be easier to get the small details. On the headphones, parts B-32 and 33 are best placed after the cord is glued in place. 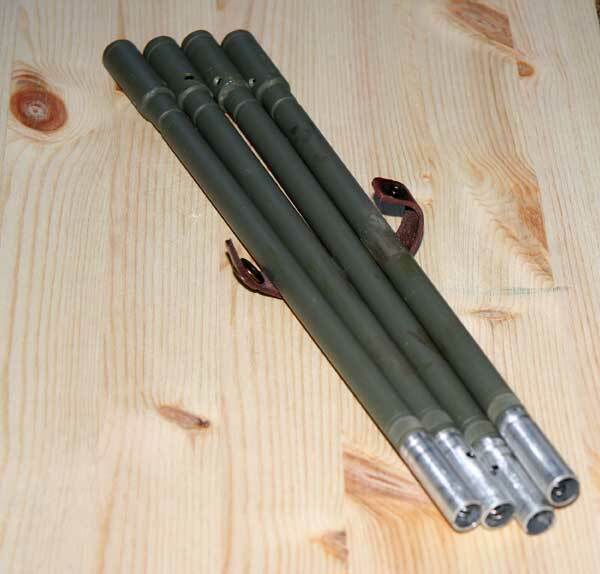 The power hookup cord is not clearly shown assembled but the two short cords are placed in the end of the long plastic tubing, then run through a small gap in the battery compartment and hooked to the battery box. The black hose for the main connection between both radio units, and the thinner hose for the aerial were both painted with some Model Color Matt Medium paint. The purpose of this is to lose the shiny effect it has, once dry this was given a light brush over with the Light Sand weathering powders. From a post I made on the MDFC forum, I have had the following very helpful reply from an MDFC member- seeing the unseeable. 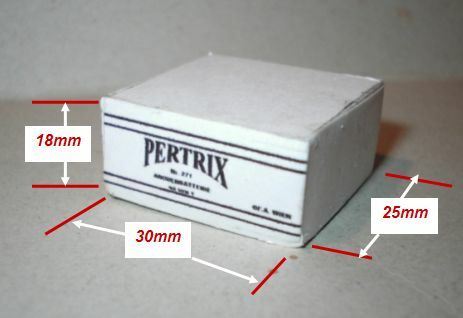 Nice to see that the Pertrix battery label graphics (picture 28.) I did back when Anton and Vaprossov were released are still making the rounds. The first set I made were of the blue label (picture 29. you showed in one of your reference photos, but I was told that that the black/white version was more appropriate for the period so I worked up a set of those labels, which you've used on your batteries. Since then, I've heard from various sources that both versions are accurate, but I'm no expert. Also, I recently came across another label variation I hadn't seen before in an eBay photo auction; I wish I could make the data out, but the photo is just too indistinct, I'm afraid. 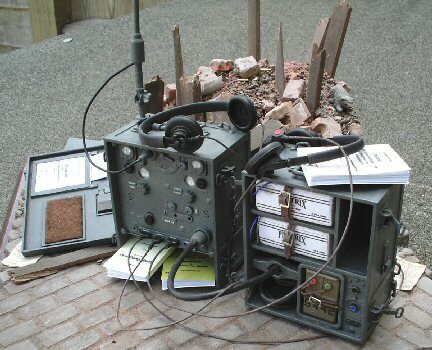 These various pictures above and bellow are of the finished radio unit that I have placed on the base I used for my Carry kitbash, the purpose of this is to try to get a more realistic effect for the radio. Instead of what I usually do of just putting the items on top of my shed in the garden so I can photograph them. 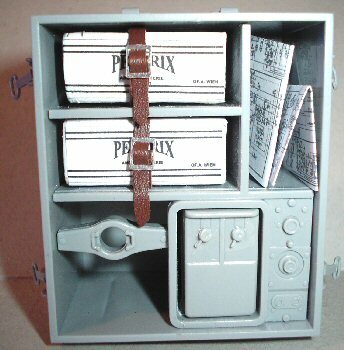 The last thing I did for these radio units before taking the pictures, was to give them both a light drybrush with some of the Tamiya Light Sand weathering powders. Making sure that I get some of it on the edges to highlight them. Many thanks to David (Actionman) for the help with the battery labels. 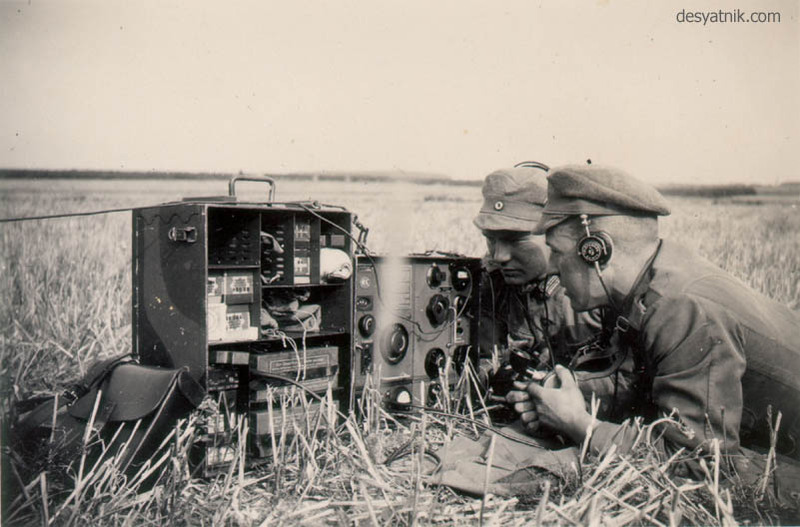 Many thanks to (Sgt Shultz II) for all his help with how he detailed his radio sets. 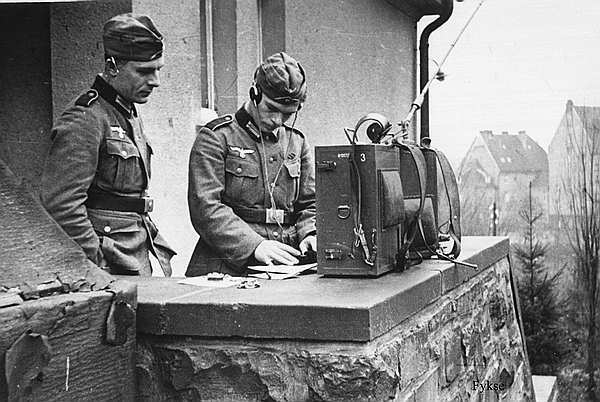 Many thanks to David and Colonel Blimp for pointing me to a UK source for the lenses for the radio.